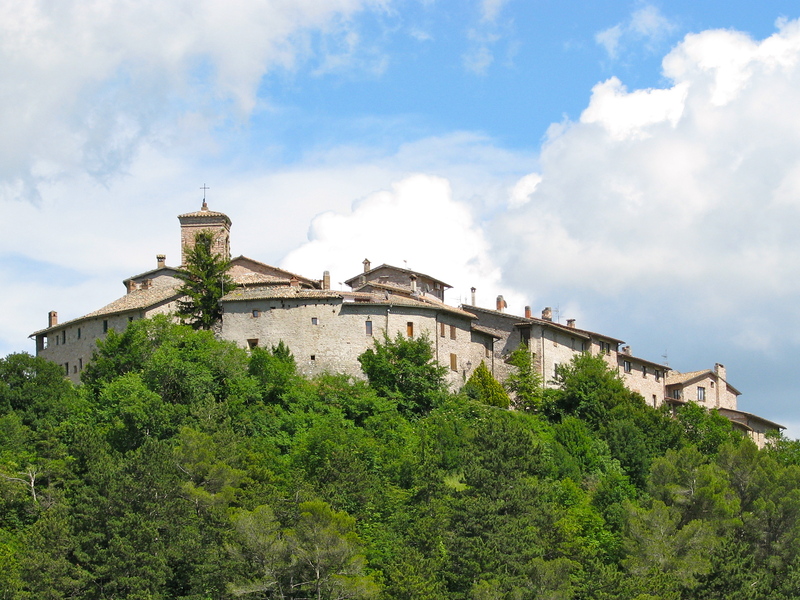 We are staying in a remote Medieval hilltop village in rural Umbria called Macerino. To reach this beautiful spot, you exit the A45 expressway and then travel up winding single land roads – sometimes paved, sometimes not – for 30 minutes. 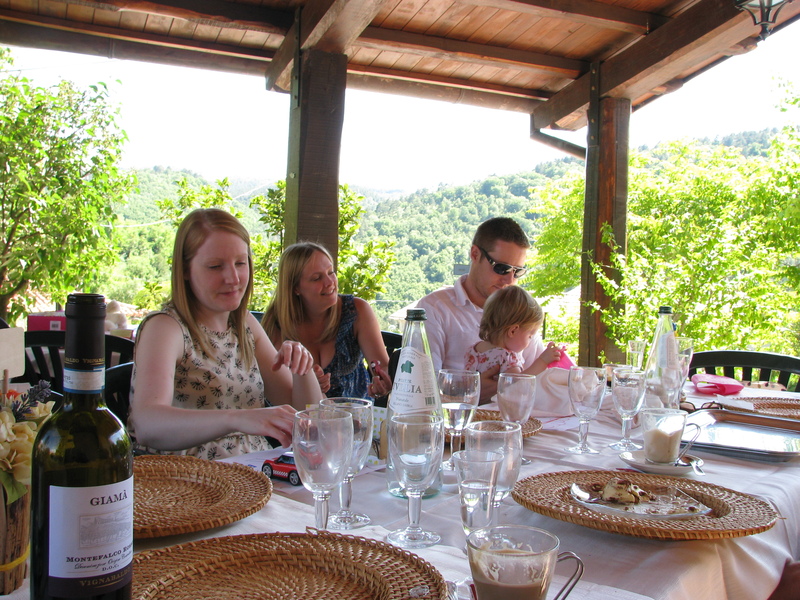 A friend rented the Palazzo Mazzurucci in the village and invited us to stay with them. Since it has seven bedroom suites, there was plenty of room. Our suite has four rooms and is more than 2,000 sq.ft. It even has its own sauna. 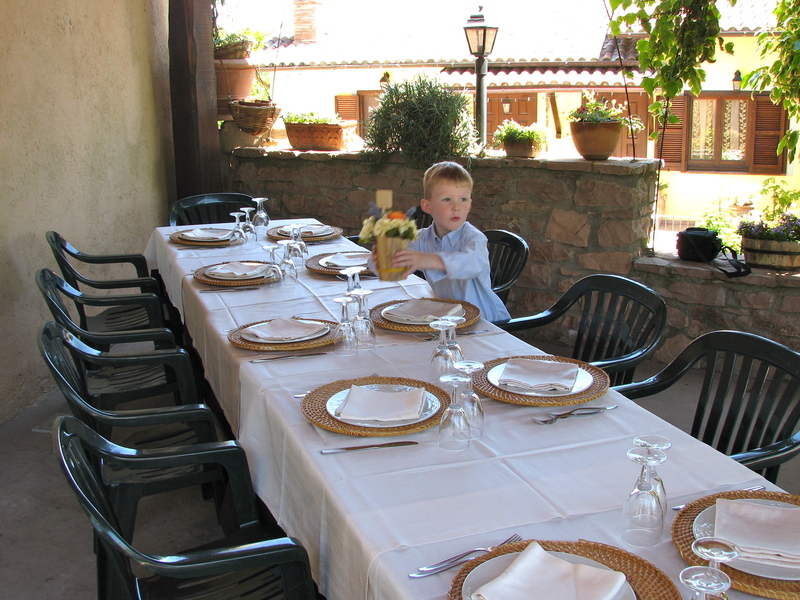 There is one little restaurant in Macerino called Ristorante Fontana. It has seating for twelve, which is good since our hosts decided to have a party there to celebrate their daughter’s first birthday and the entourage filled the place. 1. Antipasto plate: Everyone got a lovely plate with fresh melon, proscuitto, local dry cured sausage and a cornbread with an incredibly crispy crust. 2. 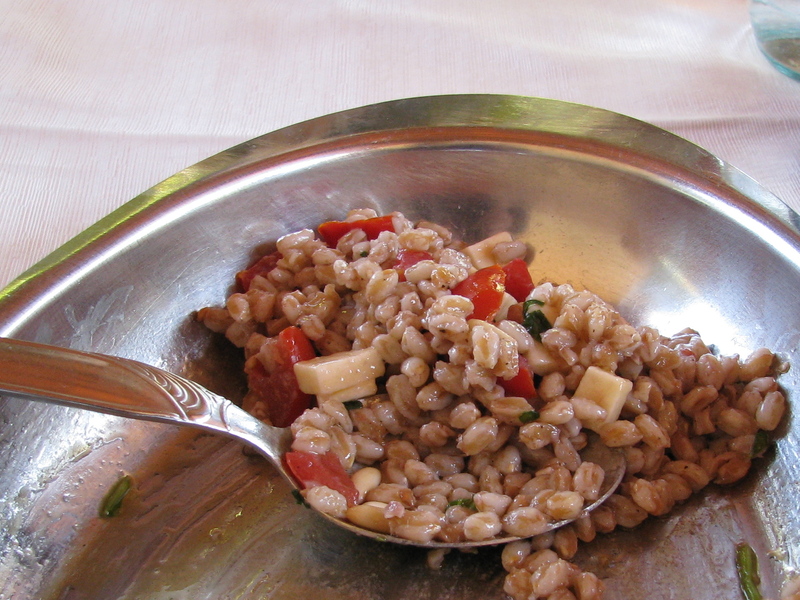 Faro salad: This is an ancient grain in the wheat family that is cooked like rice. The individual grains are much bigger than rice and are pleasantly chewy. The cooked faro was mixed with chopped cherry tomatoes and bits of provalone, and topped, of course, with olive oil. I could have made a meal on just this. 3. Roasted vegetables – egglplant and red peppers: The red peppers had a bread crumb topping. I got so excited eating this dish that I forgot to take a picture. You will have to use your imagination to envision the big serving plate stacked with roasted vegetables. 4. Truffle and egg souffle with toasted garlic and truffle bread: Umbria is the region of truffles (tartufo) and they are included in most of the cuisine. The flavor of the truffle exploded in your mouth with each taste. 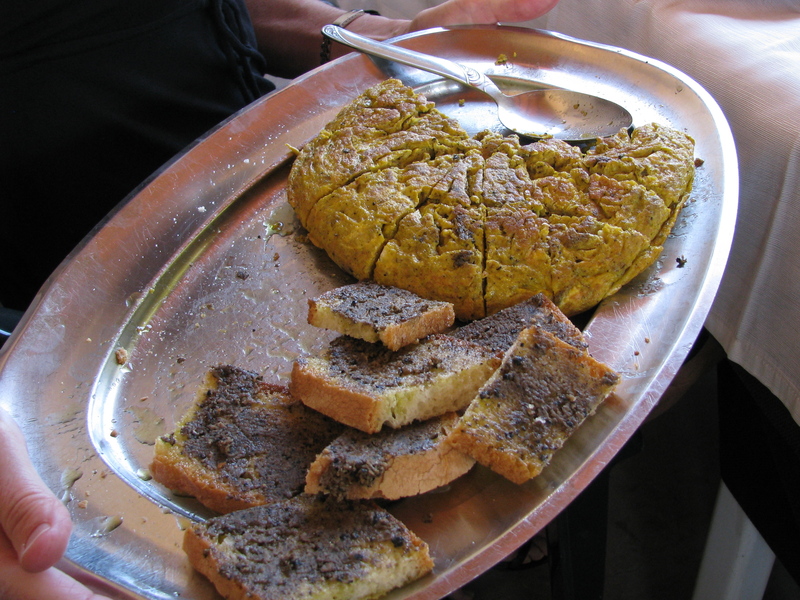 The bread was toasted and rubbed with garlic before the truffle paste was added. I think I passed out for a few seconds in a swoon of ecstasy. 5. 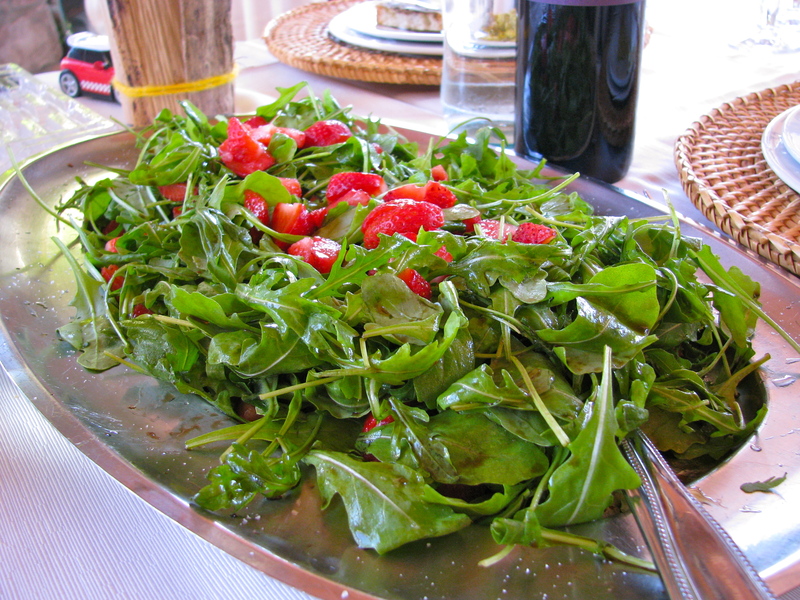 Arugula salad with local strawberries: This was dressed with white balsamic vinegar and olive oil – a great combination that I will certainly try at home. 6. 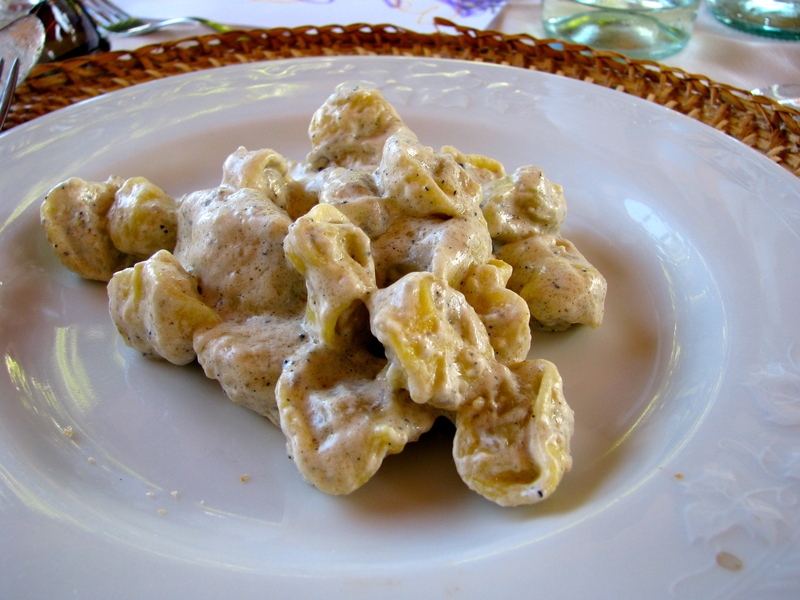 Tortelini with Truffle Sauce: The tortelini were filled with sausage and rosemary and served with a creamy truffle sauce. This was definitely one of the best pastas I have ever had in my life. I will get the exact recipe before I leave. 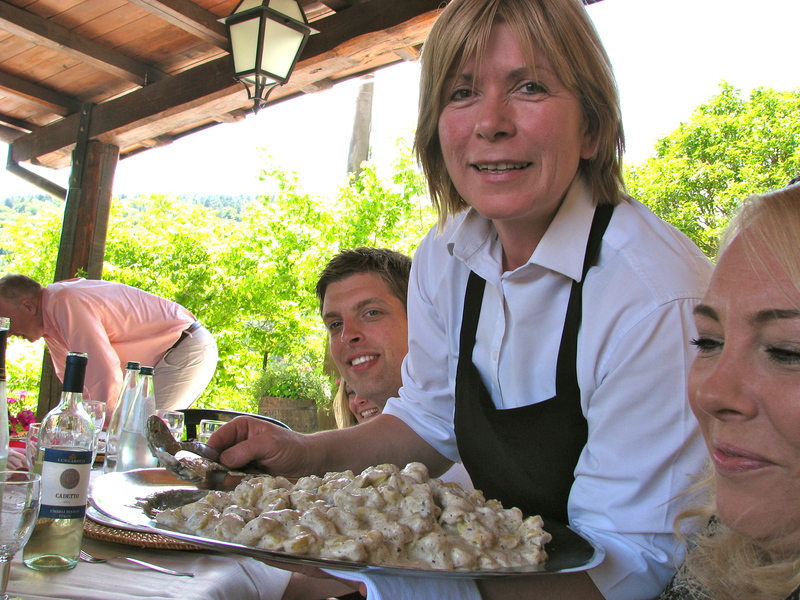 If I could freeze a moment in time, it would be this one – La Signora Roberta, who owns and operates the restaurant, proudly showing off this magnificent dish, which was prepared by her mother in the kitchen. This one is worth two photos. 7. 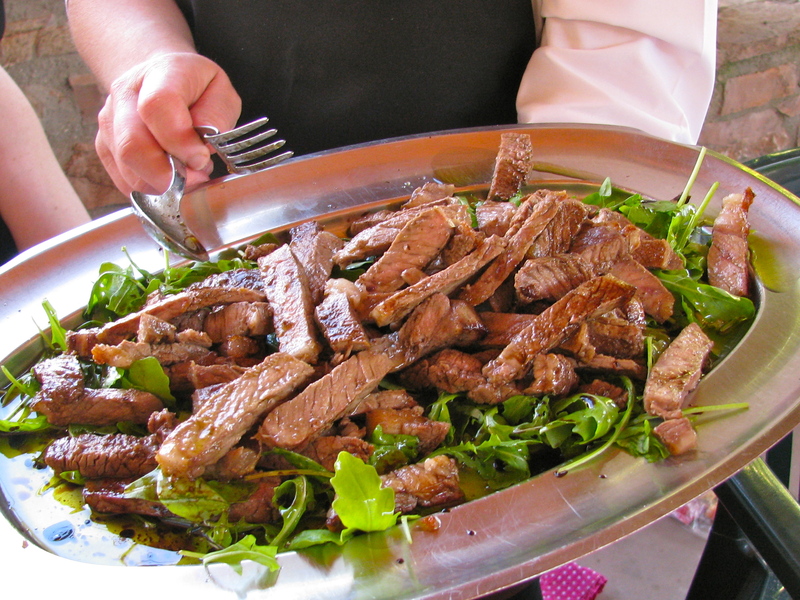 Umbrian grilled beef: This surprisingly tasty dish was a simple sirloin which had been roasted, sliced thinly and served with arugula and white balsamic vinegar. The vinegar made all the difference. 8. 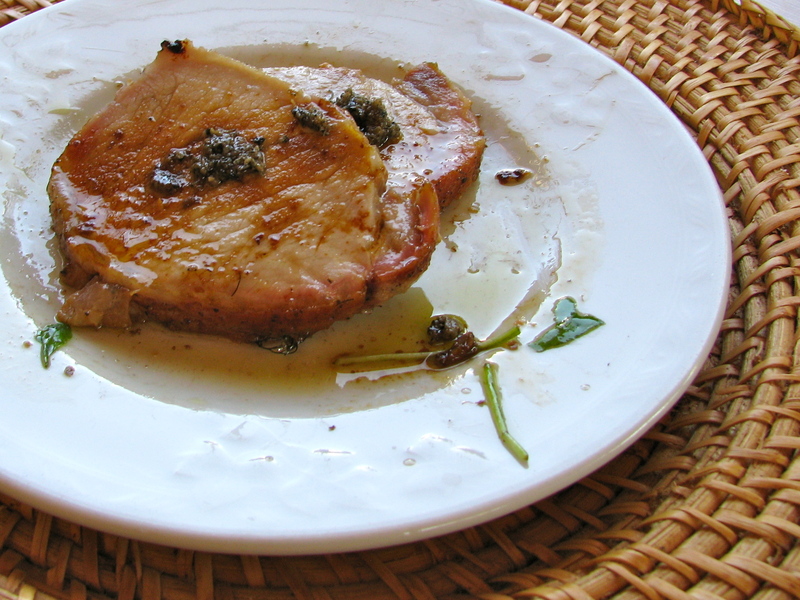 Roasted loin of pork with truffle paste: The loin had been roasted, sliced about 1/2″ thick and served with a pat of truffle paste and hot olive oil. Wow! 9. 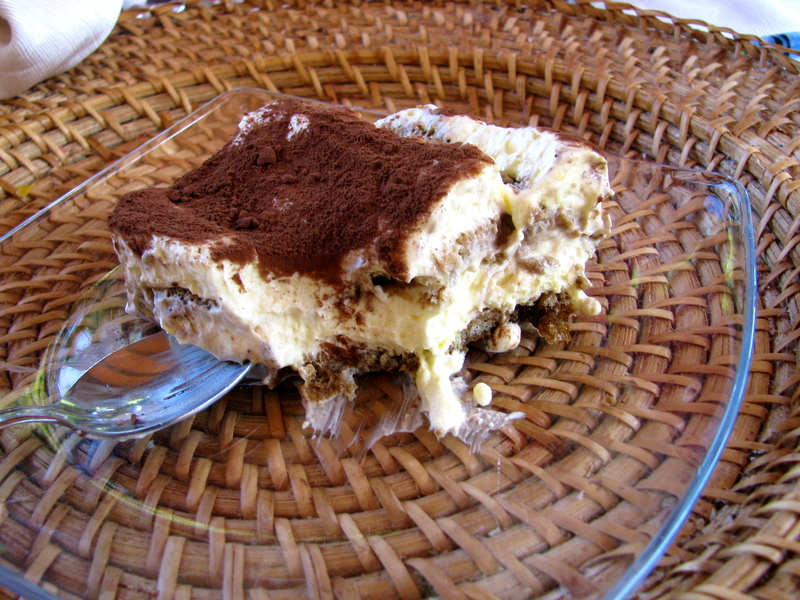 Tiramisu: This had clearly been made that morning and was served with an exquisite cocoa powder. This was the best tiramisu that anyone at the table had ever had. 10. Grappa and espresso: I’m not sure why we don’t do this with all meals. Needless to say, this was a major food event for everyone and an incredible surprise given the humble “ristorante”. It was three and one-half hours of complete bliss. WOW. Heaven! Continue the dream. 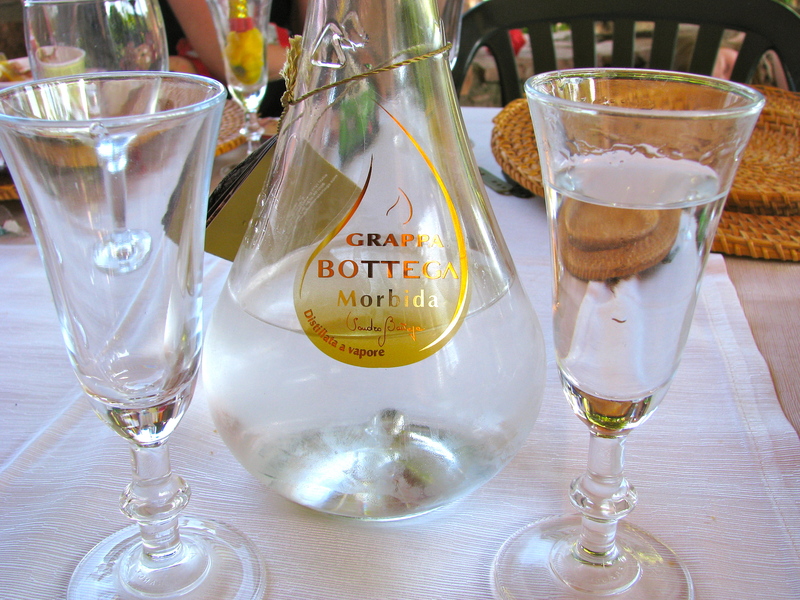 Grappa, watch out! Incredible party!